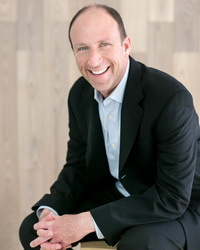 Steve Beagelman is a franchise industry veteran of more than 25 years who held positions ranging from entrepreneur to senior level executive, giving him a unique insight and perspective in growing, operating, and building brands. In 2009, Steve established SMB Franchise Advisors, a consulting company specializing in advising franchise start-ups and existing franchise concepts of ways to drive business growth. By 2016, SMB has assisted over 100 companies grow their concepts. His experience includes top-level positions with such franchise brands as Hollywood Tans, Saladworks, Rita’s Italian Ice, Restaurant Systems International and Takeout Taxi. At the age of 21, Steve also spearheaded his own franchise operation as the co-founder of Black Tie Express, a start-up multi-restaurant delivery service. Under his guidance, Black Tie Express successfully grew to a 30-unit operation. Within three years, he built a successful company and then completed the title sale to the number one market leader, Takeout Taxi. He is a frequent guest speaker at International Franchise Association conferences and is a regular contributor to franchise industry publications, serving as both source and author. Steve is also a contributor to a recent franchise book, “So You Want to Franchise Your Business”. He has been quoted numerous times as an expert in Franchising World, Franchise Times and the Wall Street Journal. Steve received his Certified Franchise Executive (CFE) in 2006 from the International Franchise Association and holds a degree in Business Administration from Pace University, specializing in Business Management. This seminar will review the pros and cons of opening another corporate unit versus franchising your brand for your future growth strategy. We will review franchise industry statistics, the key components of franchising, critical success factors of franchised brands and positioning your brand to attract and appeal to prospective franchisees.